M Christina Butler was born in Scarborough and now lives in Driffield, East Yorkshire. She has written many best-selling books for Little Tiger Press, including the Little Hedgehog books, One Snowy Night, One Winter's Day and One Rainy Day. Tina Macnaughton was born in Edinburgh and now lives in Guildford. 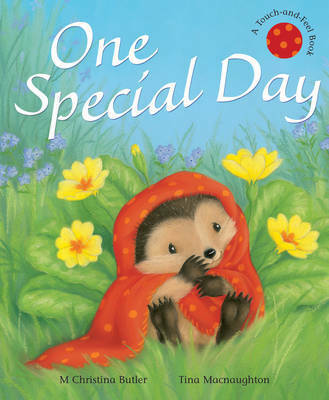 She has illustrated a number of books for Little Tiger Press, including the best-selling Little Hedgehog stories, One Snowy Night, One Winter's Day and One Rainy Day.